The Celínka residential project consists of 8 units with extra high ceilings, balconies facing a quiet courtyard, a heat recovery system, and superb layouts based on the original architectural design of the building, which was rather advanced for its time. The careful reconstruction resulted in apartments with well-thought-out layouts that meet contemporary high living standards. The new appearance of the interiors draws on the typical atmosphere of the 1930s. The apartments will be sold in the state of white walls. Their interiors can be completed according to Barbora Škorpilová’s designs. 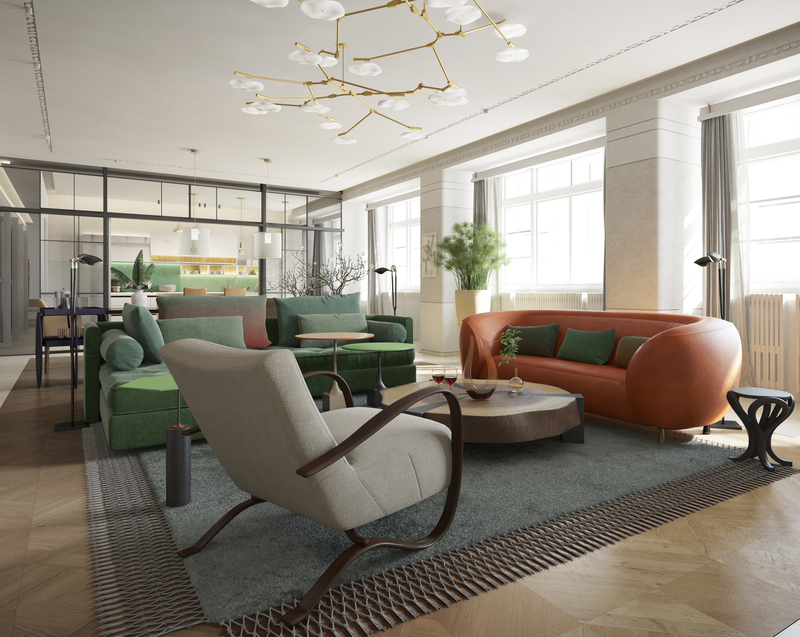 The large attic will be turned into a glass penthouse with two terraces and views of Pařížská Street,the rooftops of Josefov, and the Prague Castle. Each apartment comes with one parking space out a of a total of 11 available in an automated parking system.